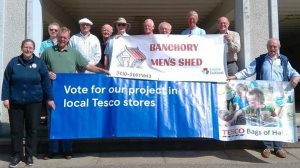 Banchory and District Men’s Shed is delighted to announce it has bagged the top award of £4,000 from Tesco’s Bags of Help community grant scheme. Bags of Help is run in partnership with environmental charity Groundwork, and sees grants raised from the sale of carrier bags awarded to thousands of local community projects every year. 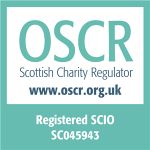 Greenspace Scotland is working with Groundwork to provide support to communities in Scotland. Since launching in 2015, Bags of Help has provided more than £56 million to over 16,000 local community projects. Millions of shoppers have voted in Tesco stores up and down the country and it can now be revealed Banchory and District Men’s Shed has been awarded £4,000. The project is the conversion of the undercroft area of Legion Scotland’s Ravenswood Club at 25 Ramsay Road, Banchory into a Men’s Shed workshop and social area. “We wholeheartedly thank Tesco Bags of Help and the customers of Tesco’s Banchory store who voted for us to receive the top award. “Men’s Sheds have become recognised as a major contributor to the improvement of men’s health and wellbeing. The Men’s Shed movement recognises the particular challenges which men face around life changes such as retirement, social isolation and a lack of established social circles once away from the working environment, and also the isolation and lack of direction which men can experience due to long-term unemployment. Men’s Shed provides facilities to address needs particular to men and the different ways in which men live, communicate and interact. A common saying is that “Men don’t talk face to face, they talk shoulder to shoulder”. 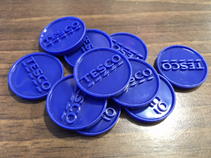 Voting ran in stores throughout May and June with customers choosing which local project they would like to get the top award using a token given to them at the checkout. The Banchory Men’s Shed has reached a significant milestone on its development road by reaching the necessary total funds for “Phase 1” of our “Shed” premises. BMS were last week awarded a significant sum by the “Developer Obligations” Team on Aberdeenshire Council. This sum, together with the sums previously built up, total the target of £9,000 which will allow us to make our Phase 1 plans a reality. 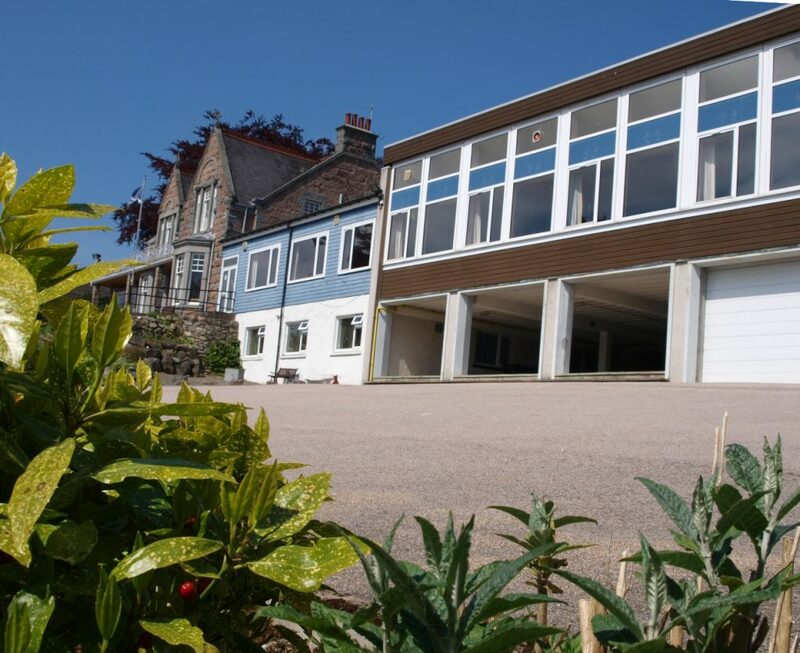 “Phase 1” comprises converting the first-in-a-row of the three garages at the Legion, Banchory (the white-fronted garage in the above photo) into a Workshop area. There are even some excess funds over and above the basic building costs, plus some use-specific grants for workshop equipment, which together will allow us to fit out the Workshop area and also start on fund raising for Phase 2. Phase 2 will be the Social area (conversion of the right hand two spaces to the left of the garage in the above picture) and is more extensive. It will allow us to have social gatherings, meetings, and run courses such as IT Technical Surgeries for our own members and the general public (all ideas welcomed). Owing to its scope, it may take some time to complete so until then, we will fit out the Workshop area in an adaptable way so as to be able to use it as both a temporary social area and workshop. We have still to finalise Lease arrangements and building scopes etc but are targetting an opening date of this Autumn. More details on our plans are on our About Banchory Shed page. The Amazon Smile tripled donation falls back from 1½% to ½%, so please keep using Amazon Smile – details here. 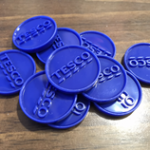 The Tesco Bags of Help scheme continues as normal – just not with Banchory Men’s Shed – please continue to grab your blue tokens and pop them in the box for the Charity you want to support.